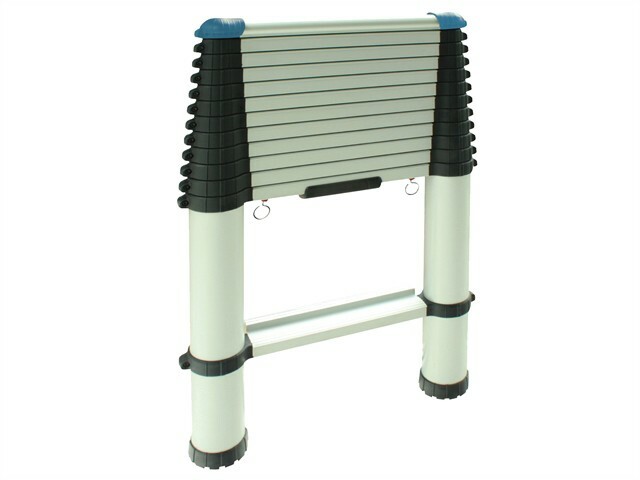 The Zarges Telemaster Telescopic Ladder allows multiple working heights, with rung-by-rung height adjustment. The treads lock automatically during extension, and are extra wide for comfortable use. The Telemaster collapses to a small size, and so stores easily into car boot or cupboard.